Maruti Suzuki India hit a new high of Rs 6,355, up 5% on the BSE in intra-day trade, making its entry into the list of the top-10 most valuable companies by market capitalisation (m-cap). 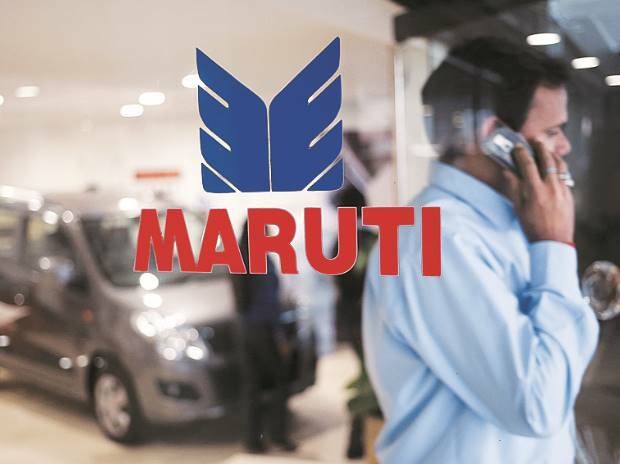 With an m-cap of Rs 191,368 crore, Maruti Suzuki India now features at tenth rank in the list by replacing oil marketing giant Indian Oil Corporation Limited (IOCL) in this prestigious club. IOCL reported m-cap of Rs 185,107 crore at 02:19 pm, the BSE data shows. Since April 2016, Maruti Suzuki India has outperformed the market by surging 71% as compared to 18% rise in the S&P BSE Sensex. In financial year 2016-17, the company posted a 9.8% jump in total sales at 1,568,603 units, against 1,429,248 vehicles in 2015-16. “It turned out to be the company’s best ever year in term of sales. Its domestic sales rose 10.7% at 1,444,541 units during the last fiscal as compared to 1,305,351 during the 2015-16 financial year,” Maruti Suzuki India said in a statement. Motilal Oswal Securities recommended ‘buy’ rating on the stock with a target price of Rs 7,443. According to domestic brokerage firm the Gujarat plant is expected to ease capacity constraints and help to drastically reduce waiting periods for products like Baleno, Brezza and Ignis. Analyst at JP Morgan thinks fundamentals for the PV business in India remain robust given positive medium term discretionary fundamentals and financing rates falling to 7-year lows. “In FY18, the company expects to again sustain +10% volume growth implying market share should sustain at current levels. FY18 should see a refresh of the Swift, which we think is the major one to watch for over FY18,” the foreign brokerage said in a recent report. In terms of distribution, Maruti Suzuki India’s medium-term plan to increase its dealer network to 4000 vs 2000 currently and Nexa strategy should further enhance its competitive positioning, it added.